Here at Harlequin Driveways our name speaks for itself. We are your local company in Abergavenny committed to providing you with an unrivaled Block Paving Abergavenny and Tarmac Driveways Abergavenny service. Whether you require a new driveway or a simple repair, we can help. Based in Abergavenny we offer our services across Forest of Dean, Monmouth, Cardiff and across surrounding areas to; domestic, commercial and industrial customers. Over the years our Block Paving Abergavenny service has grown as one on the most trustworthy and popular service we offer to both domestic and commercial customers in and around the South of Wales. The material is not only used for driveways and paths but patios as well and with the variety of styles and finishes available you have a wide range of choice and opportunity to produce an attractive and effective finish for your home or property. Harlequin Driveways only use the highest quality Block Paving Abergavenny material to offer you the best possible outcome. 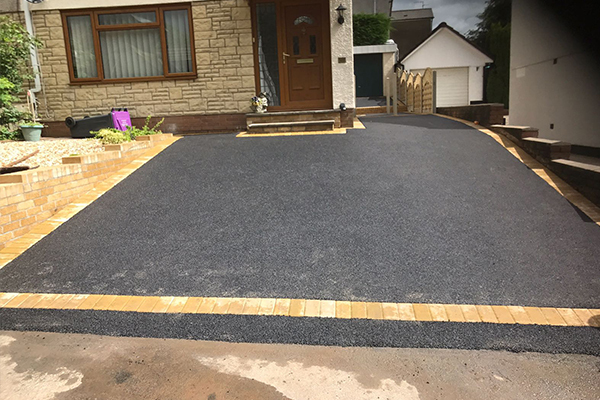 Specialising not only in Block Paving Abergavenny we also offer a highly reputable Tarmac Driveways Abergavenny services, regarded as one of the most versatile surfaces, it is durable as well as being aesthetically appealing. As with any other surface, one made of tarmac is only as good as the team that installed it therefore from the installation right through to the final project we will provide you with exceptional advice and outstanding workmanship. For a free, no obligation quotation, please feel free to get in touch with us, either via our contact form, email or give us a call. If you would like further information on any of the services mentioned or require a more bespoke service we are more than happy to help.